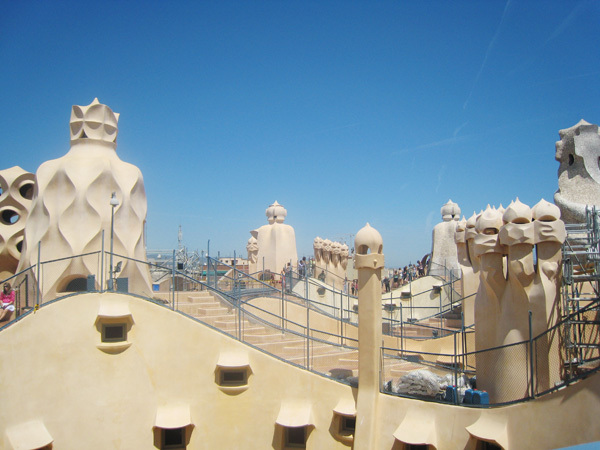 Do you dream of going to Barcelona, but you can’t help having doubts? Are you on a limited budget? Or you just don’t want to spend all your savings in a holiday? Well, then this article is just for you! Today we won’t be spending a big deal but we’ll stuff ourselves all the same. 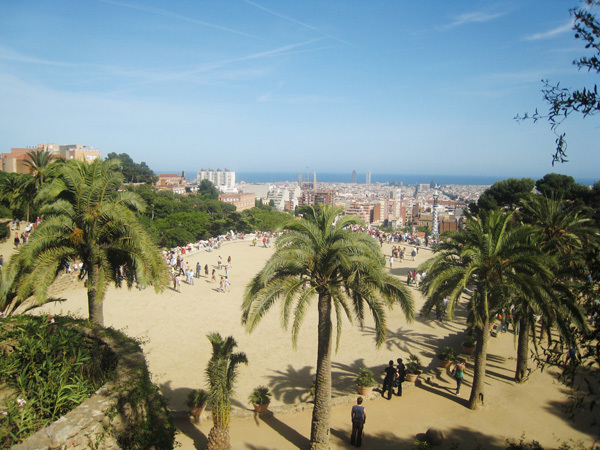 At the end, one goes to Barcelona to enjoy the sun and the beach, right? And that’s completely for free! If you make a little planning and organizational work ahead, you’ll be able to have a great time and enjoy plenty of activities for a very affordable price. 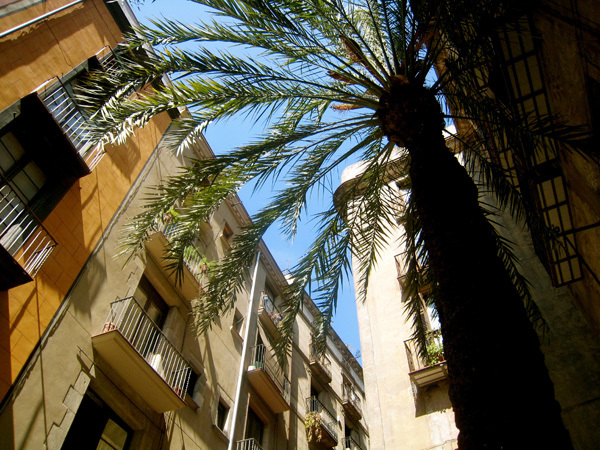 Of course, you’ll hear the siren’s song of the various tapas, ice-creams, mojitos and shop windows… STOP! It’s almost always possible to have a delightful holiday without spending too much, at least it’s worth trying, and we’re going to provide a little help to do so! If you’re traveling with kids, forget about coming in July or August. It’s sizzling hot and the beaches are crammed. There are tourists everywhere and all the prices are generally inflated. Of course. If you’re traveling with friends or as a couple, that will make everything better and easier. 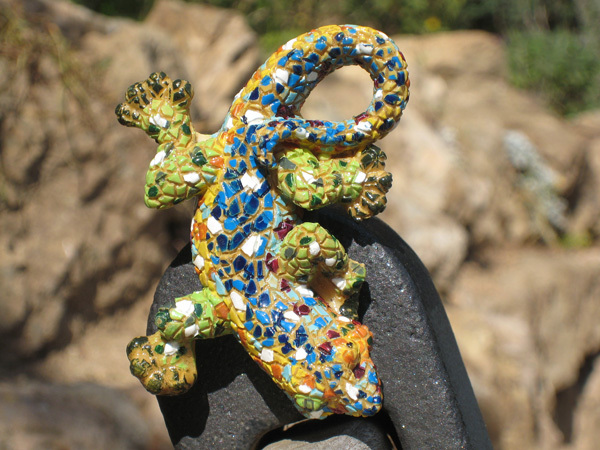 Your main activity will be going to the beach and short pleasant strolls around the beautiful streets of the Catalan capital city. On top of that, with all that heat you won’t be so hungry and eating on the go will be more tempting! Anyway, we think the best months are June and September. The sun isn’t so intense, but you still can enjoy going to the beach. Yeahh! If you’re coming from a big city, low cost flights will be your best friends. Ryanair, Easyjet, Vueling. Bookings must be made in advance. If you’re traveling with children, the train remains a great alternative means of travel. If your children are small, you may even travel with them on your lap and don’t pay for their ticket. There are frequently children play areas inside the train. If you’re traveling as a couple or with a group of friends, don’t hesitate to check blablacar to share a care. Last, if you’ve decided to bring your own car, don’t park in the first parking lot you find on arrival! Always look for a parclick parking, they exclude all competition! It will soon be evident that hotels can be really expensive, especially since you need to take your breakfast, lunch and dinner out. We understand, you’re completely broke and thus you haven’t bought the full board! Try renting a room or an apartment. There are prices to suit all budgets. You’ll even be able to buy some groceries at the little corner supermarket to fix your meals now and then at the apartment. Of course you know that Barcelona is brimming with zara and other Spanish brands. Here the summer sale lasts for 2 months: July and August. “Mini” prices, way more affordable than in the rest of Europe, for sure. Are you looking for a little something to take with you? 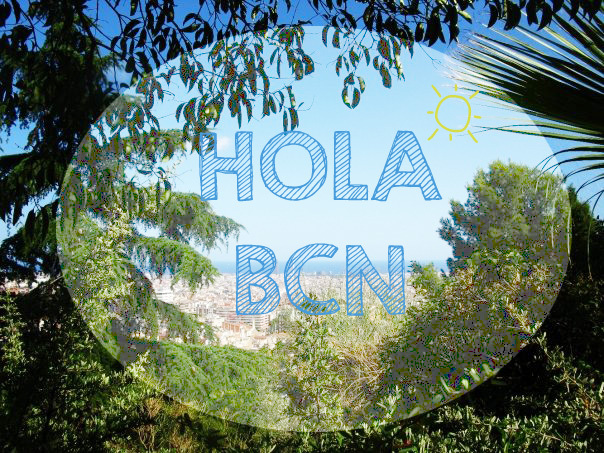 Forget about the tourist-oriented shops at the Rambla, or at least haggle ALWAYS! You’re a tourist and they see you coming from far, they won’t hesitate to ask for twice or even thrice the amount in your case! We’re not at all in a hurry, we’re on holidays! Yes, you’ve understood it perfectly, you must walk! Fear not, it’s a human scale city where it’s really easy to move from district to district on foot. Nevertheless, if you want to take the subway, remember to by a T10 ticket. This ticket to share by a group offers you 10 rides for less than 10 Euro. Don’t hesitate to register at groupon or eltenedor. There, you will find great deals for restaurants or various activities. It’s worth giving it at try! In many bars you’ll often find flyers for a discount at clubs, or if you’re lucky enough, even discounts for Port Aventura or the Zoo. 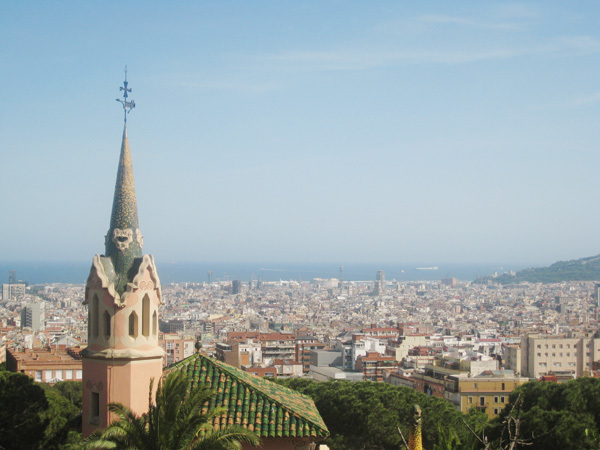 Barcelona’s free tour: We take you for a 2h ride around the city! And it’s completely free! There are tours available in Spanish and in English. You’ll find all the information here. At the blog, you’ll find our favorite spots to eat really nice food at very affordable prices. 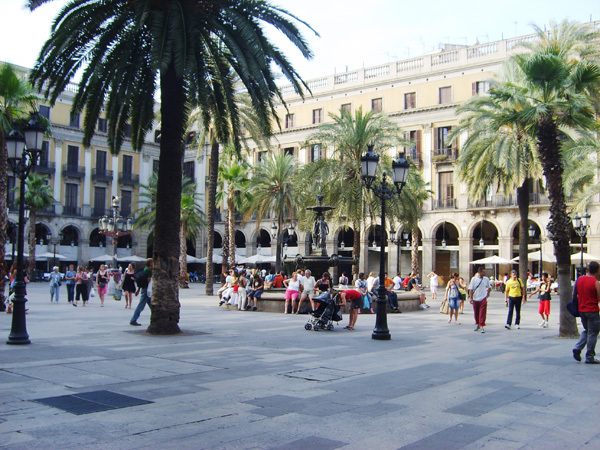 At any case, try to avoid the Rambla and the evidently tourist-oriented bars and restaurants. Pay special attention to “pinchos”, which may result quite pricey. At the end, giving in to temptation will cause the check to really swell! Make your grocery shopping at the Carrefour Express you’ll find at the Rambla. Favor Mercadona, Dia and Caprabo stores. Regarding the Boqueria market, try to always avoid the first stands, since they almost always have really high prices! Go to the heart of the market and compare prices. After all, we’re on holidays so we don’t need to hurry! Some fast food? Forget about McDonald’s, here they have BURGER KING!!! Cocktails in Barcelona are not very expensive; it of course depends on where you go, but generally speaking, you won’t have a hard time finding bars where cocktails cost 3.50 Euros. Both at the Rambla and on Avinyo street, there’s people handing out flyers that include a reduction in the clubs, or else free shots. They call them “chupitos” here! The city is chock – full of pickpockets one more evil than the next one. Forget about back packs with zippers and wallets at sight. Favor waist bags (not very glamorous, we know) or else a carrier bag across your chest, kept close to you at all moments, particularly in the subway! Go ahead and buy your tickets already!